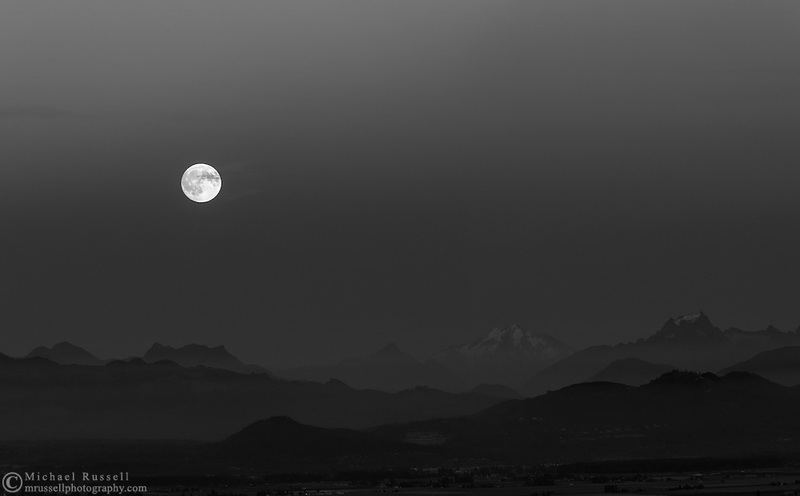 The moon rises into the Earth's Shadow over the peaks of the North Cascades mountains in Washington State, USA. Peaks here include (L to R) Round Mountain, Mount Higgins, Skadulgwas Peak, White Chuck Mountain, Glacier Peak, Disappointment Peak and Whitehorse Mountain. Photographed from Mt. Erie Park on Fidalgo Island, Washington.